Trying to drink enough water each day is a struggle for me. I’ll do it for a few days and then on the fourth day I forget. Recently someone pointed out that if you fill a jug with the amount of water you want to drink each day, it can be a visual goal for you. So on Monday, I started filling up a one litre bottle of water in fridge. I wanted to be able to drink at least one, if not more of it each day. Even though I like drinking cold water, it’s nice to add a little flavour to it. And if it can help detox your system, even better! I’ve infused my water in the past with berries, lemon and even cucumbers. But this combination, is really great, not only for the taste, but for your body as well. Lemon: Lemon is great in helping cleanse the body and regulate the digestive tract. If you are worried about lemon breaking down the enamel of your teeth, you can also try adding a few drops of high quality grade lemon essential oil. Cucumber: This is a refreshing addition to your water. The cucumber also helps with re-hydration and flushes out toxins. Oranges: Orange helps with healthy blood circulation and cleansing the body. 5. 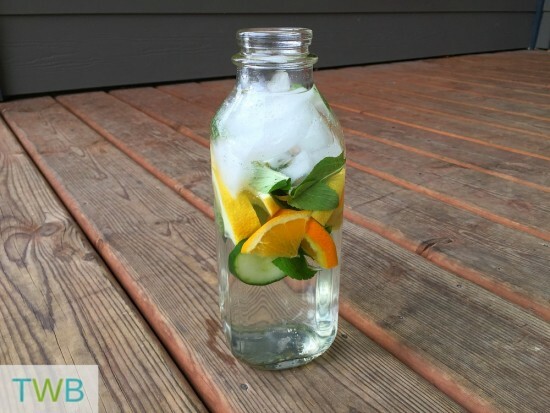 Fill your bottle halfway with water. Add all the sliced fruits and herbs. Then fill the rest of the way with water. You can add ice at the top if you like. Of course you can use less or more of the ingredients, it’s whatever you prefer. I like to make this the night before so it’s cold and ready to drink in the morning. However, it is recommended to leave it in the water to infuse for at least two hours before drinking to get the most benefits. 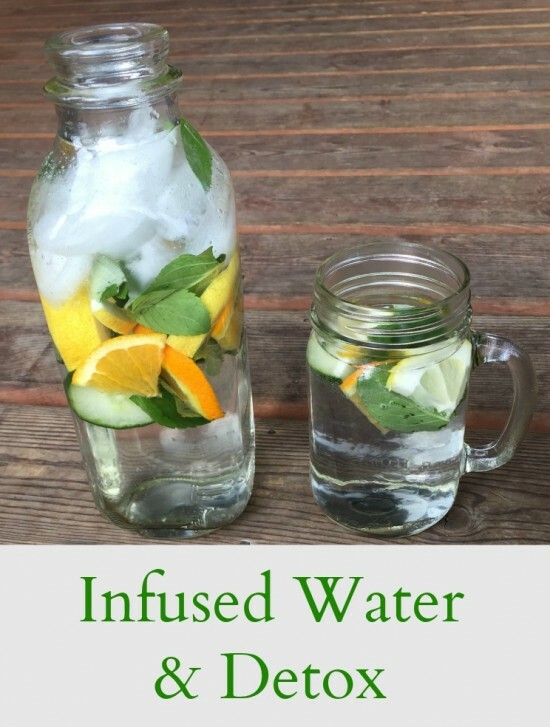 What’s your favourite way to infuse water? I have had a constant struggle with increasing my water in-take. Lately, I’ve really loved adding fresh lemons, but I had never thought of mint. I’ll have to remember to pick up some mint and give that a try next time I’m at the grocery store. It’s tough to drink the recommended amount. Hopefully you like the mint!